T-SQL « The SQL Dude! I recently worked on this scenario with a customer of mine. They had a DOCS table which contained resume’s and CV’s of their candidates. This DOCS table was full-text indexed. They noticed that their search results in the application was not showing all the documents when they performed keyword based search. On looking into the full-text index and following my previous post on this topic @ https://thesqldude.com/2012/07/06/how-to-identify-the-row-or-document-that-failed-to-index-during-a-fulltext-index-population/ , we found out that many .DOC and .HTML documents have failed, hence these don’t show up in the search results. Now, dbo.DOCS is a huge table and it contained more than a million rows. 1190688 to be exact. So to find out that documents that need to be replaced, I did the following steps. 2. Identify each DocumentID that is not a part of full-text index, so that this can be corrected from the application and thus re-index via fulltext population. Luckily for me this was SQL Server 2008 R2. Starting with SQL Server 2008 there are 2 useful DMV’s that contain information about the full-text index. These views were not present in SQL 2005. Using the DMV sys.dm_fts_index_keywords_by_document we can get to find the Document that is present in the FTIndex. If a document is present, it means it has been indexed successfully. The Document_id column in the DMV corresponds to the full-text key value of the table. In this case the table dbo.Docs has the full-text key column as [DocId]. So, basically the Docs.dbo (DocId) is the same as sys.dm_fts_index_keywords_by_document (document_id). If you want to find the full-text key column of a table, you can use a query like this within the context of the user database. I found that 979415 rows were returned from the above query. I found that 211273 rows were returned from the above query, which is basically a NOT IN filter where each document_id present in the base table (dbo.Docs) is checked in the FTindex (#fts_index_document_id) and if not present then it is a failed document. So, the count is tallying up fine. 3. Find the count of each document type and the number of documents of that type that has failed to be indexed. As we can see from the above output, most of the failed documents are of type HTML and DOC. Now that we have the breakdown of document types that have failed, we need to identify each unique document in the table of a specific type (say .DOC) that isn’t indexed, so that it can be corrected from the application side by re-inserting the document. I am using the same # temp table which contains my indexed documents in the FTIndex. The reason I am using a #tmp table is because the DMV is slow as it scans through the full-text index and we don’t have to read the index each time. So I’m storing the output in a #tmp table and re-using that for all my queries. I would recommend you follow this because if the FTIndex is large, then querying the DMV each time isn’t going to be fast nor good for performance. The output of the above query will return each document that has failed to be indexed (not a part of the full-text index) and of type HTML. You can change the filter clause highlighted to suite your needs. See sample output below for a list of failed documents of type ‘DOC’. Since you now the Document names, Document ID, Document type, you can get in touch with your application team to have a look at these documents and verify these are valid documents. If possible they can be reinserted back from the application into the table dbo.Docs. When you see this error, keep in mind the application that is actually taking the document and inserting it into the database. Whichever application is being used to insert the documents is not doing it correctly and the document is actually not valid for indexing. The IFilter for Office Documents is very strict on the file format. It will not even process other file formats that Word is able to open such as RTF. Opening the file with Office Client is very different to opening the stream for the IFilter. You will see this behaviour yourself when you open/save the same file without changes, Office Client adds other changes and filesize increases. It does make changes to the file header and this is a key point! 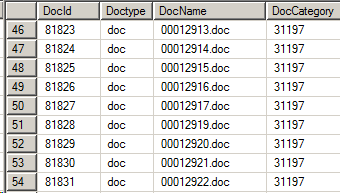 You may want to take a closer look to see how these DOC files are getting inserted into SQL Server. I’ve seen that even a small byte missed here or there can render the file invalid (in the eyes of the IFilter). I’ve seen this happen for XLS/PPT/DOC file formats. 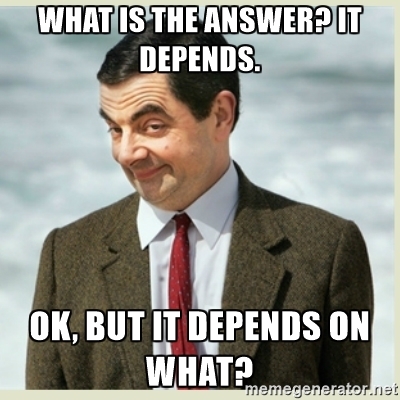 If you face this scenario, try and find answers to the following questions. 1. What is the application used to insert these documents into the database? It is possible that all of the failed documents originated from a specific date and time. Usually this is the case for older file formats like DOC/PPT/XLS compared to the new Metro Office Formats like DOCX etc. 3. Are there different versions of this application available? Same as #2. If the application has later fixes, it doesn’t change the fact that the table contains BLOB value inserted using an older version of the application. Re-inserting the same documents using the newer version of the application is a step to take. 4. Are they facing failure with new documents being inserted today? This will tell you if the issue is with older documents already present in the table or even with newly added documents. Again, we are just narrowing down the source of the problem. Many times during the life of a DBA, you might notice the tempdb database growing excessively, though no changes have recently been done. It’s often the case that due to data increase, the application T-SQL queries are not written to scale up, hence end up doing excessive sorting/hashing operations which consume space from your tempdb database. Here are some T-SQL scripts that you can use to monitor who/what is consuming space from tempdb and plan accordingly. From a feature perspective, here are the features in SQL Server that use space from tempdb. From a query performance standpoint, here are some operators that use tempdb space. 3. Spool Operator: This operator is used to save the intermediate set of rows for re-use and uses the tempdb database to save the query result set. Could not allocate space for object dbo.TBL1 in database ‘tempdb’ because the ‘PRIMARY’ filegroup is full. The following query helps you understand if user objects or version store or internal objects are the ones using the space in tempdb. According to this output, you can focus on the below sections. tables created in TempDB. Very rare, but I’ve seen this happening. which are preventing the cleanup and hence not release tempdb space back. The version stored (SQL 2005 onwards) is a collection of objects that are used when Snapshot Isolation or Read-Committed Snapshot Isolation (RCSI) or online index rebuild etc. are used in a database. Version store contains the committed rows which is how a SELECT operation does not get blocked when another UPDATE/DELETE is operating on the same row, because the SELECT reads the row from the version store, instead of the actual base table. When you enable this, the row has to be stored somewhere and tempdb happens to be the place. A row is maintained in the version store when there are transactions operating on that row in questions. When the transaction is committed, the row is cleaned up from the version store tables. At times, when there are long running transactions or orphaned transactions, you might notice tempdb growth due to the version store. You can use the following query to find the oldest transactions that are active and using row versioning. This trace flag is available starting with SQL 2000 SP3 to reduce tempdb contention by forcing uniform extent allocations as opposed to mixed extent allocations. This trace flag is only to be used if you seeing contention (wait_Stats) on the PFS/GAM pages like 2:1:1 etc.. More internal details on this trace flag is available in Paul Randal’s blog post here. Not only does enabling the trace flag help but you need to create multiple tempdb files equal to the number of logical processors. So if you have 4 CPU’s you will create 4 tempdb data files. Now, what if you have 16 or 32 processors, do you still need to create that many tempdb files? If the number of logical processors on your server is greater than or equal to 8, then use 8 data files for tempdb. If the number of logical processors is less than 8, then use as many data files as your processor count. You can use the following against any of the SQL Servers you manage to find out if any change is required in the tempdb data files to reduce contention and improve general performance. Here is a sample output. As you can see I have 8 processors and only 1 tempdb file. So I need to add 7 more files. 1. Either you have to rollback any transactions consuming tempdb space or kill the transactions (not a good idea). 2. Create additional tempdb files in other drives which have free space, while you dig around to find the culprit who is growing tempdb. 3. Restart your SQL Server service.